So… your cat has just been diagnosed as having feline diabetes. Well, you are probably a bit scared of what the future holds for both you and kitty. There is some good news. And this is that cats can and do live good, long and healthy lives post feline diabetes diagnosis. The main thing is that you – as the owner – have to dedicate yourself to caring for your cat throughout her illness. You need to research and learn all you can about caring for a diabetic cat. In actual fact, Feline Diabetes is surprisingly common, it has been shown in some studies that as many as one in four hundred 400 cats have diabetes. Higher risk groups are overweight and older male cats, although feline diabetes may affect any aged cat. 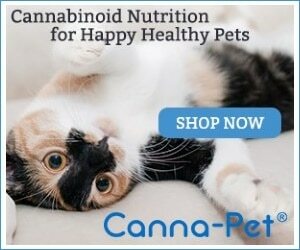 Feline Diabetes is definitely not a death sentence for your cat. I have gathered information to help you understand what you need to when caring for a diabetic cat. Once your kitty has been diagnosed with feline diabetes, it is extremely important that you take her for regular checkups with her veterinarian. She requires regular checkups to test her blood sugar levels and make sure she is receiving the correct amount of her insulin. The vet will require you to with-hold food from your cat for twelve hours before the visit, to make sure the test is correct. The veterinarian will draw some blood and check your cat’s blood sugar levels. People that have diabetes are able to check their blood sugar at home. You will be able to also do this at home for your cat, if you purchase a glucose monitoring system. The Vet will most likely request regularly visits three months apart for your cat’s check-ups. With your diabetic cat, it will be your responsibility to ensure that she receives the correct dosage of her insulin – two times per day. The amount of insulin that she will require will depend upon your diabetic cat’s individual condition. Most feline diabetes cats will need to receive between 3 and 5 units of insulin twice a day. It is very important that you establish a regular routine for giving your cat her insulin. When caring for a diabetic cat, she needs to receive insulin at twelve hour intervals. Most people that have diabetic cats will give their cat the insulin injection at the same time every morning and at the same time every evening, this helps to make sure you don’t forget. Set a routine and stick with it. It isn’t at all difficult to learn about giving a cat insulin. The vet will help to walk you through the whole process, and supervise you to make sure you can manage. You can use an orange for practicing on at first, until you feel comfortable about your technique. Normally the vet recommends the cat receives her injections between her shoulder blades, where you can “tent” up the skin to insert the needle. Take your time always, and with patience and practice, your cat will hardly feel her insulin injections. And as a matter of fact, most feline diabetes cats know when it is getting close to insulin injection time and might actually remind you by meowing for it. It is important that you have the right supplies on hand to help treat your diabetic cat. You will need vials of insulin which are prescribed by your veterinarian, syringes and alcohol swabs. It is a very good idea to order more insulin when you are about halfway through, as it may take a couple days for the veterinarian to order your insulin. Your veterinarian might also recommend getting your diabetic cat some supplementary vitamins and starting her on a special prescription diet like the Science Diet W/D. It is also a good idea to keep phone numbers of your veterinarian and at least two 24-hour emergency vet clinics with you at all times, just in case your cat needs urgent help. When caring for a cat with feline diabetes you may worry about the costs that this condition incurs. Yes, it does cost a bit of money when caring for a diabetic cat. One vial of her insulin will cost you approximately $85 which will last you approximately two months. 100 syringes will cost around $30 and these will last 50 days, as you must use a brand new syringe for each and every injection. Prescription cat food will cost around $40 for a 20-pound bag. However, it is important to remember that your cat is a large part of your family. Most pet owners do not hesitate spending this sort of money on their beloved pets, when they are in need. Above of all when you are caring for a diabetic cat, you need a lot of patience and a lot of love. It is not always easy to care for sick and ailing cat. However, with the right care, you can expect your diabetic cat to have many more years of happy life, because feline diabetes is NOT a death sentence!